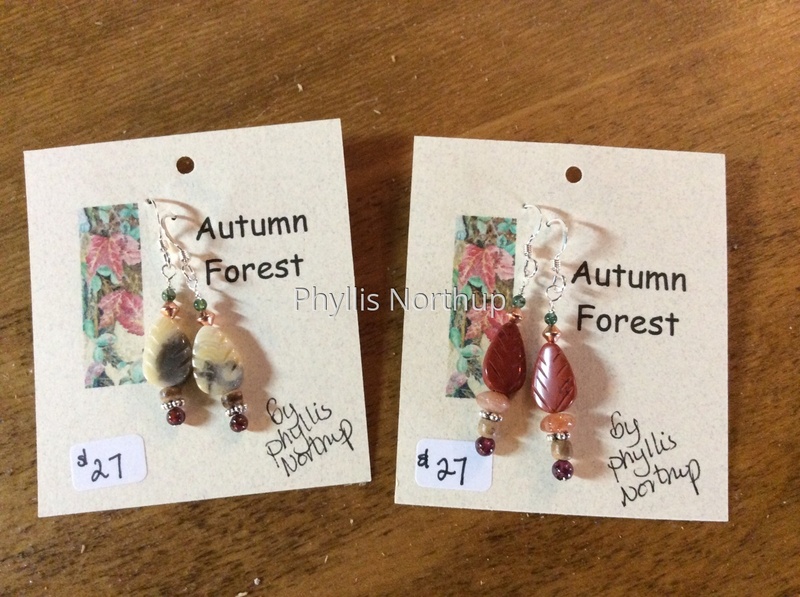 Celebrate the luscious colors of autumn with these lovely earrings rich with the many hues of the forest. Jasper's, agates, sunstone, garnets, with accents of copper, wood and sterling. Sterling ear wires.